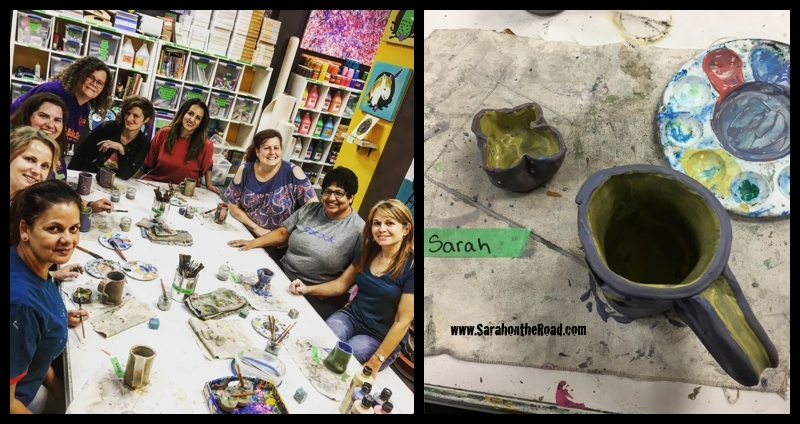 After dinner we headed just down the road to 4Cats Port Credit for a little bit of team building while we got our hands dirty and made a hand build clay mug! 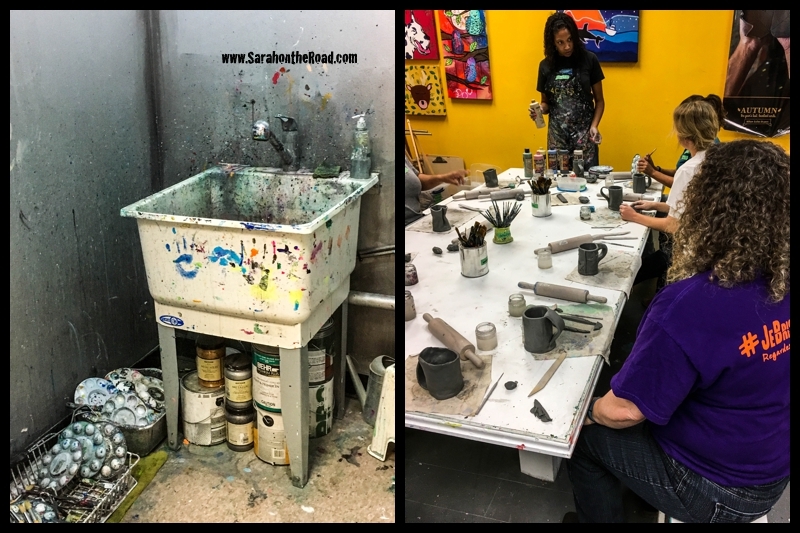 Such a fun bright amazing creative space…they offer all kinds of art & craft classes for kids, adults and families. It’s been a few years since I’ve had my hands in clay. The camp that I worked at when I was in my late teens and early 20s I spent a lot of time in the craft shop… where I made a few creations…mugs, candle lanterns, bowls, vases and a bunch of other gifts for family and friends! 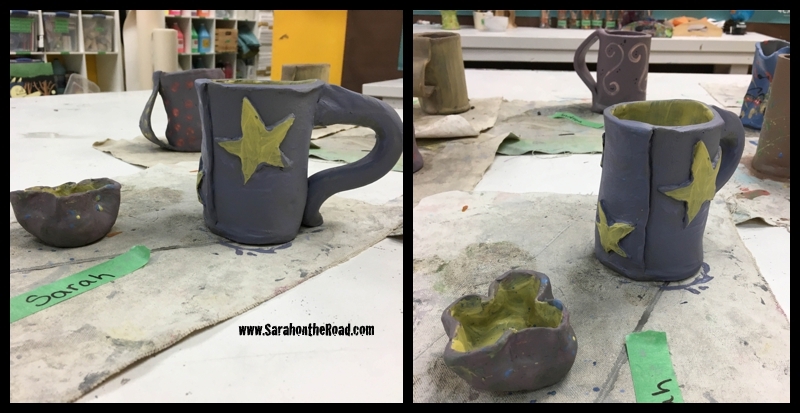 I was excited to get back at it and make another mug…and see if I still had it in me to make something. 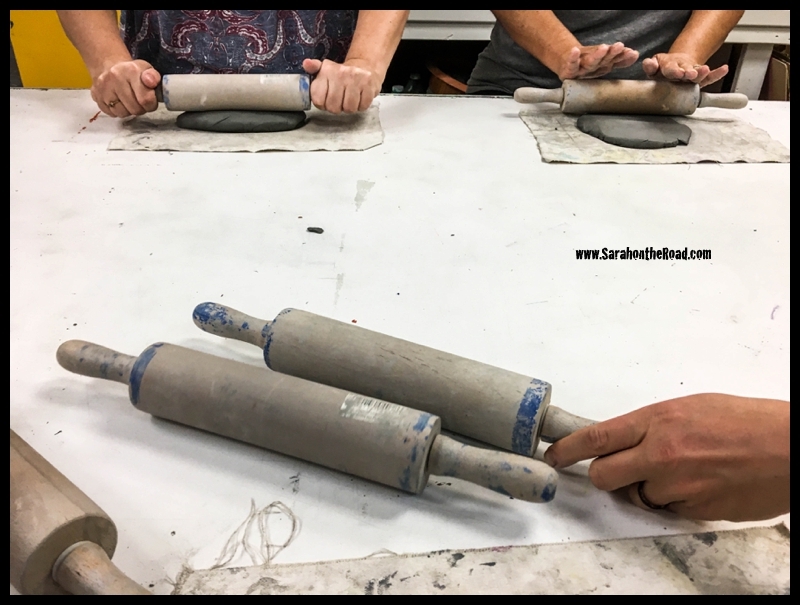 Then it was time to roll out the clay…the trick is evenly spread out the clay evenly–if you don’t… you’ll have a thick edge of your mug…and a way too thin side! 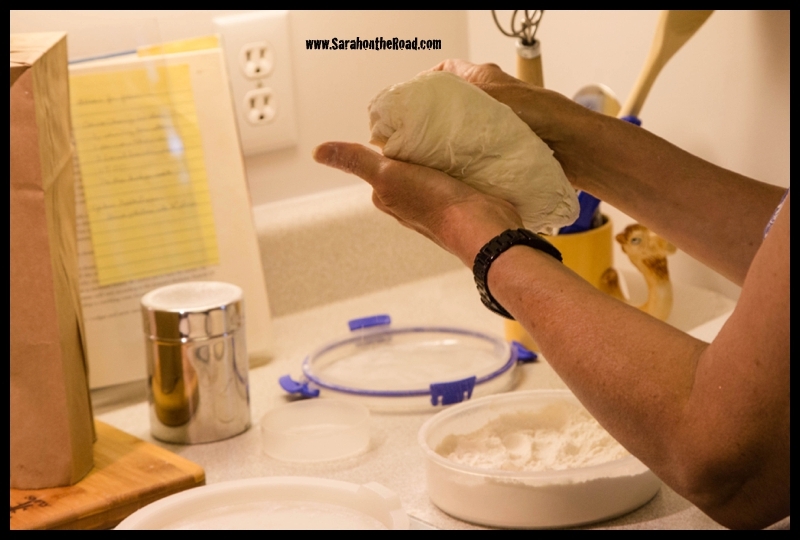 You need to ‘scratch’ and ‘slip’ your clay whenever you join up two pieces. 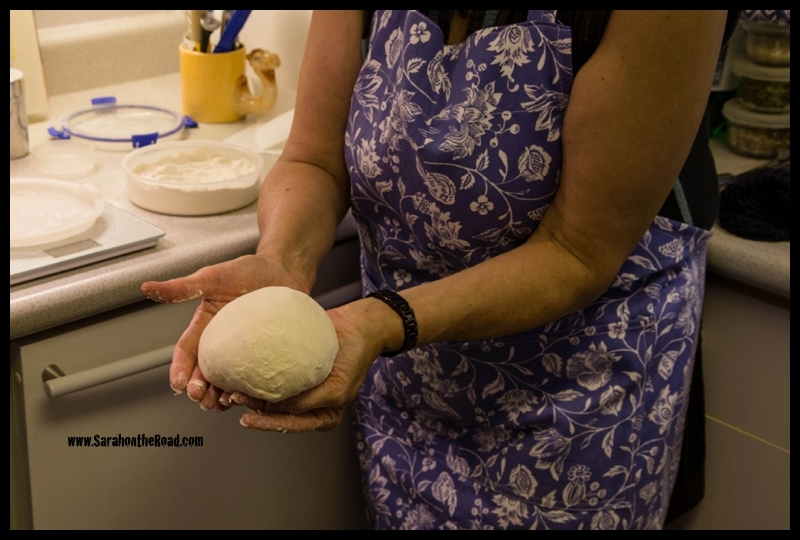 (If you don’t… when the clay dries…it shrinks and pulls apart.) 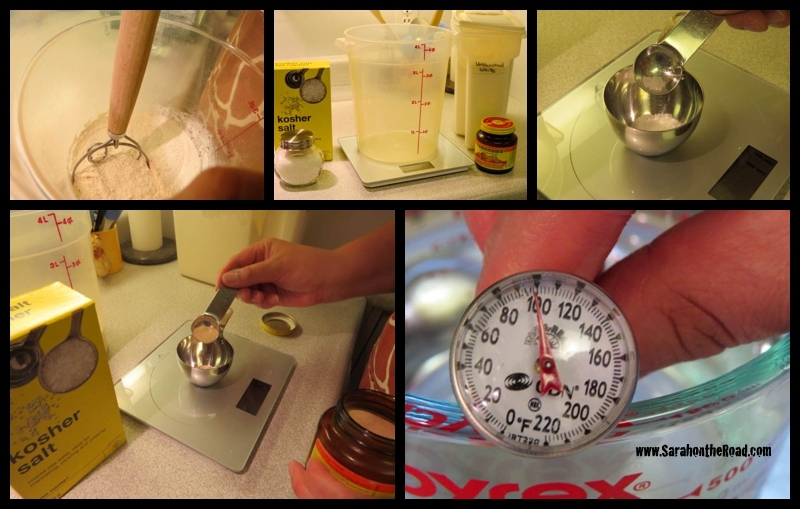 Just make up a few scratches on each side that join… then add a bit of water…and press them together! …our teacher was great to explain all the steps and help out if we needed. 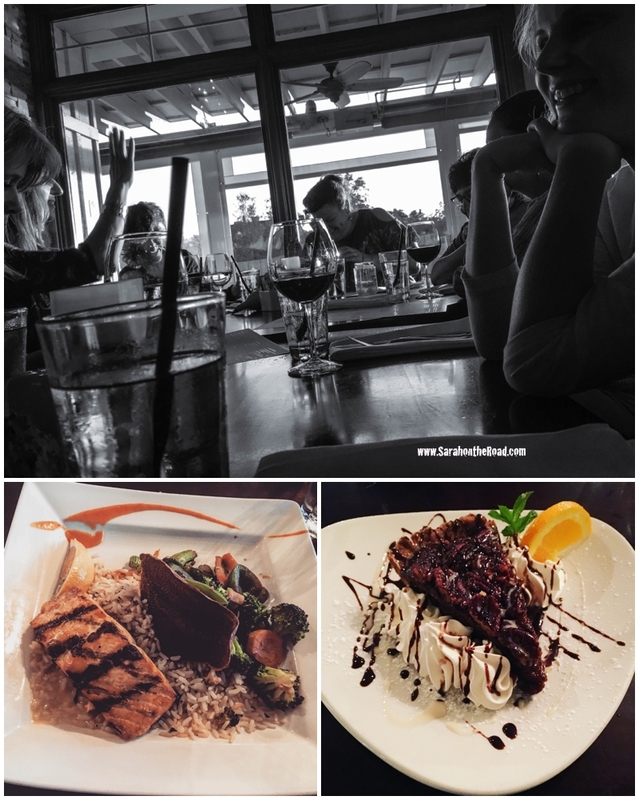 But mainly we did our own thing…and had a lot of fun! Isn’t that what team building nights are all about? 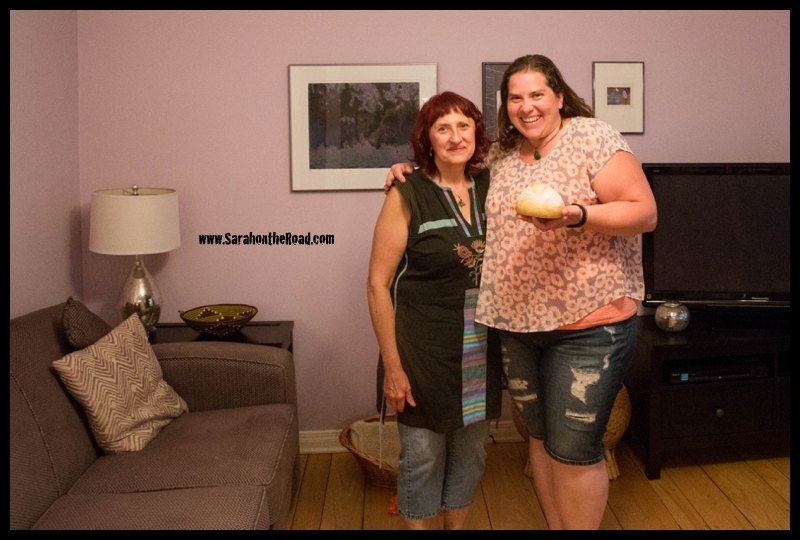 The night was more than just making mugs…it was fun to share stories and laugh. It was totally what I needed. 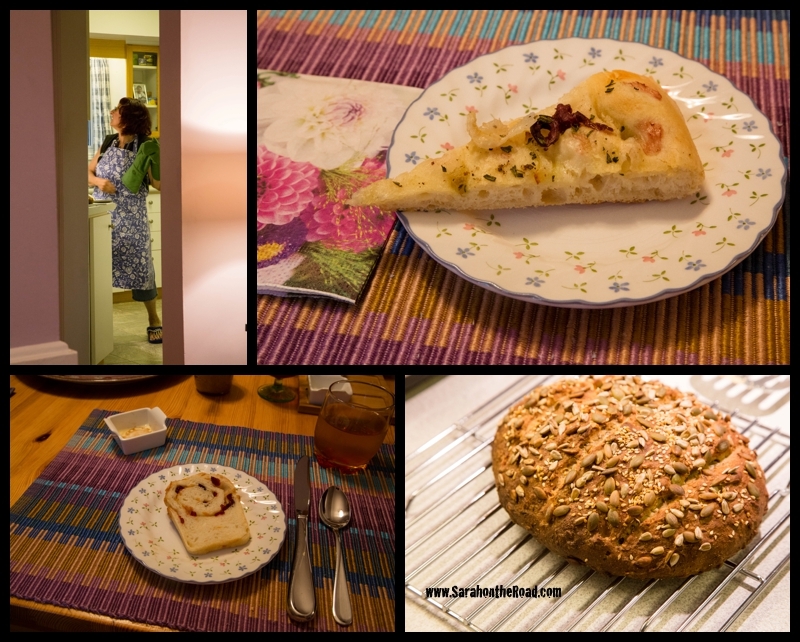 It also made me realize how happy I am when I’m making stuff… maybe I should look around for another class or something. 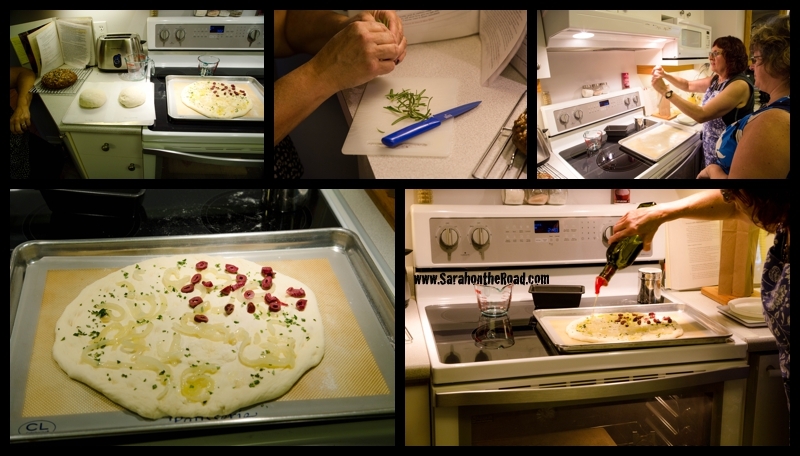 …the last step was to paint our clay with glaze. The colours are a wee bit muted, but once they are fired in the kiln they will get all shiny and a bit more bright. All of our mugs & vases look so pretty and unique just like us! I work with a bunch of great people…this was not something new I learned last night. I was glad to spend time with a few of these awesome people outside of the office..hanging out and playing with clay. I decided to leave the seam..but most others smoothed out the joint so they had a smooth mug. I free-handed a few stars to cut out and then add to my mug…. and then with the left over clay I had I made a small pinch pot, I figured I could use for a tea bag holder or hold some spare change! Can’t wait to see my mug in a few weeks once it’s all glazed…not sure that I’ll actually drink a tea out of it, but it will make a really fun pencil holder for my desk! 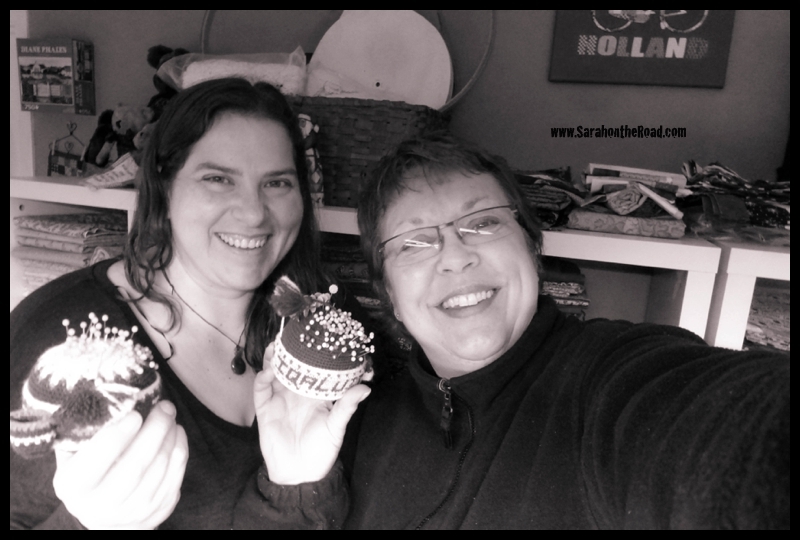 This entry was posted in Crafty Projects, Fun with Work Mates, Life in Ontario on October 20, 2016 by Sarah on the Road. 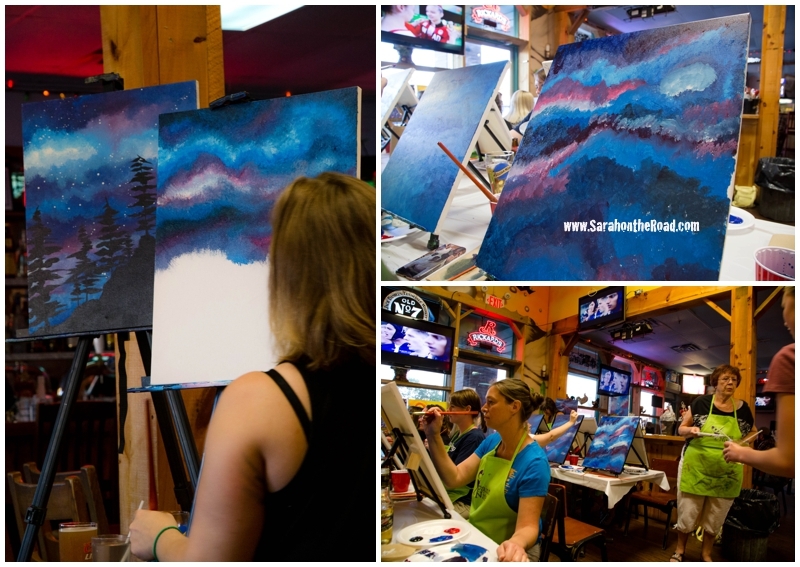 My friend Emily started earlier this summer hosting Paint Nites… I found out Sunday afternoon she was doing one Sunday night at Wild Wing here in Lindsay. 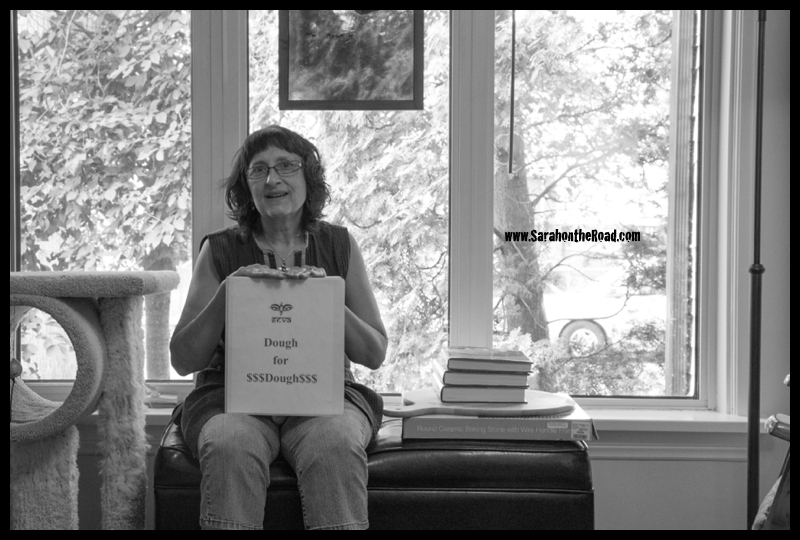 I’ve been visiting my mum and staying at my house organizing my stuff in my basement apartment here in Lindsay. I decided I needed a breather from that and wanted to have a wee bit of fun. So I decided to sign up, lucky for me there was still room in the class! I have had friends in a few different cities posting about the fun of paint nites. 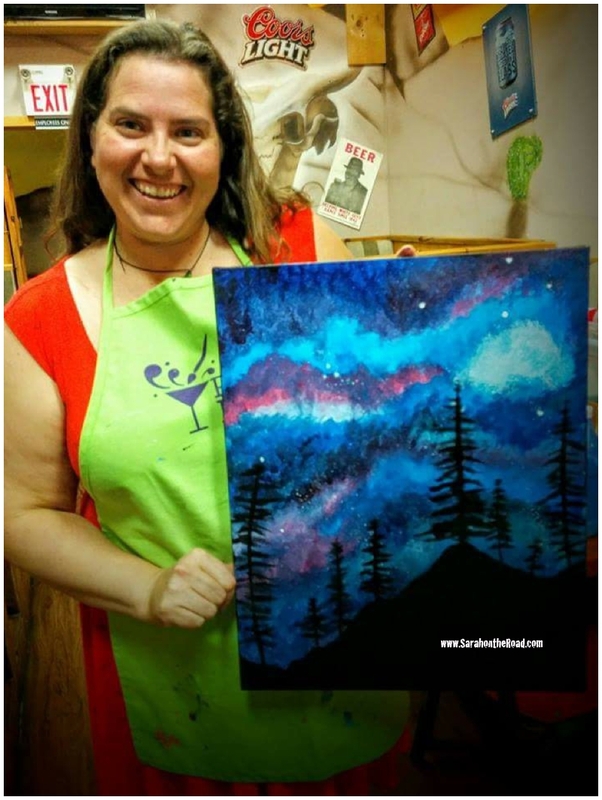 (Even one of my colleagues in my summer course at RRC did a paint night for her new skill she had to learn!) It was time for me to find out what these ‘Paint Nites’ were all about! We started off the evening with an Oath… then were introduced to our brushes and had fun mixing some colours we would need. I must tell you…I was a wee bit nervous. I’ve always been a creative sort, but there’s a part of me that’s a total perfectionist…that sometimes just freezes me. Then the scary part started…actually putting paint on the canvas! It’s been a crazy long time since I’ve painted…but slowly but surely with Emily’s guidance and tips I was able to get over myself and paint! 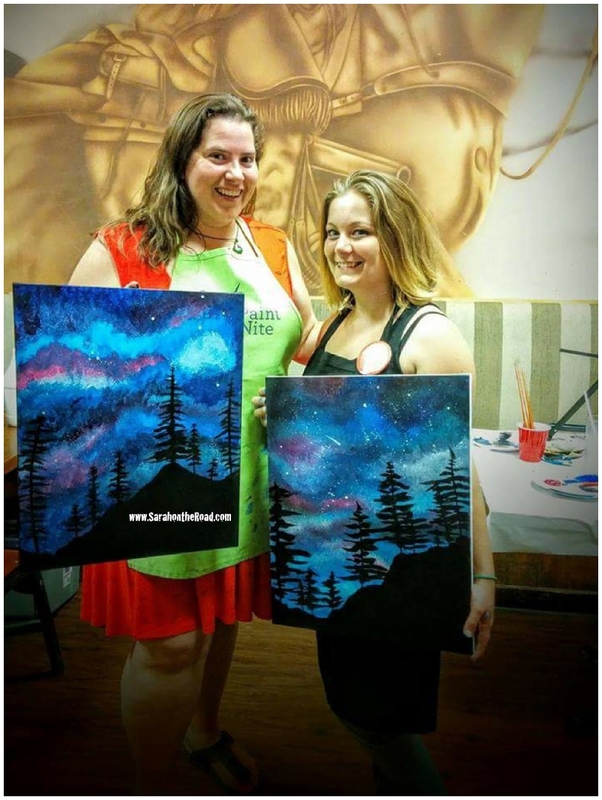 The great things about Paint Nites is that you come with family or friends and enjoy the night… with drinks and painting!! What more could you ask for? I got to the point where I knew that any more painting or blending would turn my canvas into a mess of browny gunk… so I stopped and looked around! It was so nice to see everyone’s paintings…yes, they are similar…but really they were so individual and unique! I’m so glad we are still friends…seems like a lifetime ago when we met at LIT’97. (Oh wait it kind of was a life time ago eh? 19 years ago?…) Glad we can still enjoy life’s adventures and have fun laughing. 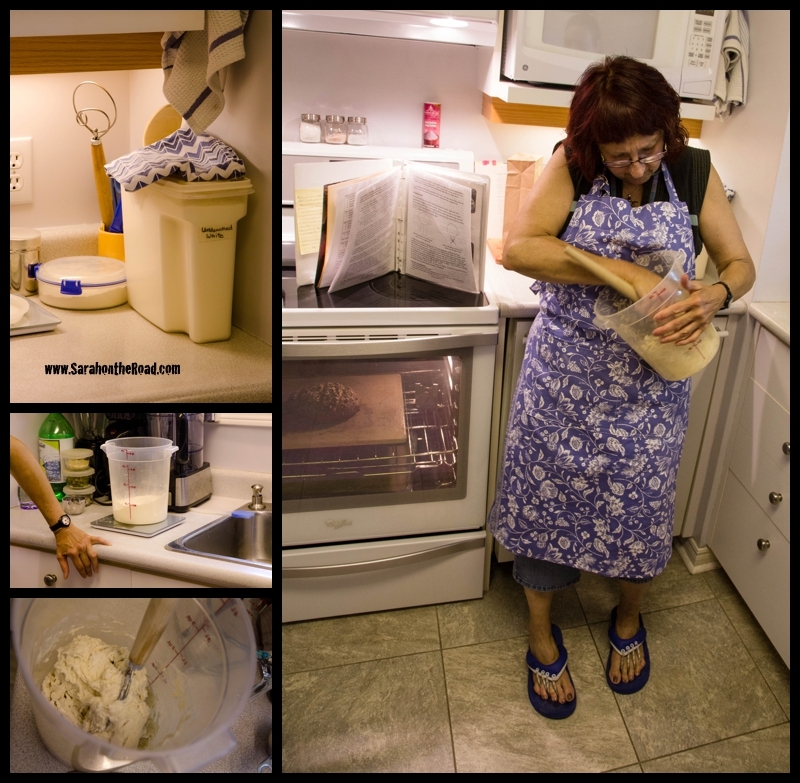 This entry was posted in Crafty Projects, Life in Ontario on August 8, 2016 by Sarah on the Road. 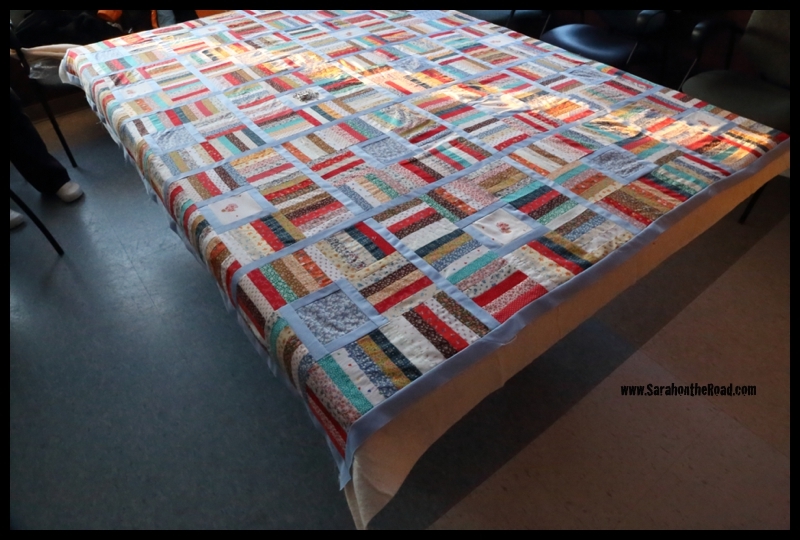 It’s been awhile since I have updated you about my first quilting project! 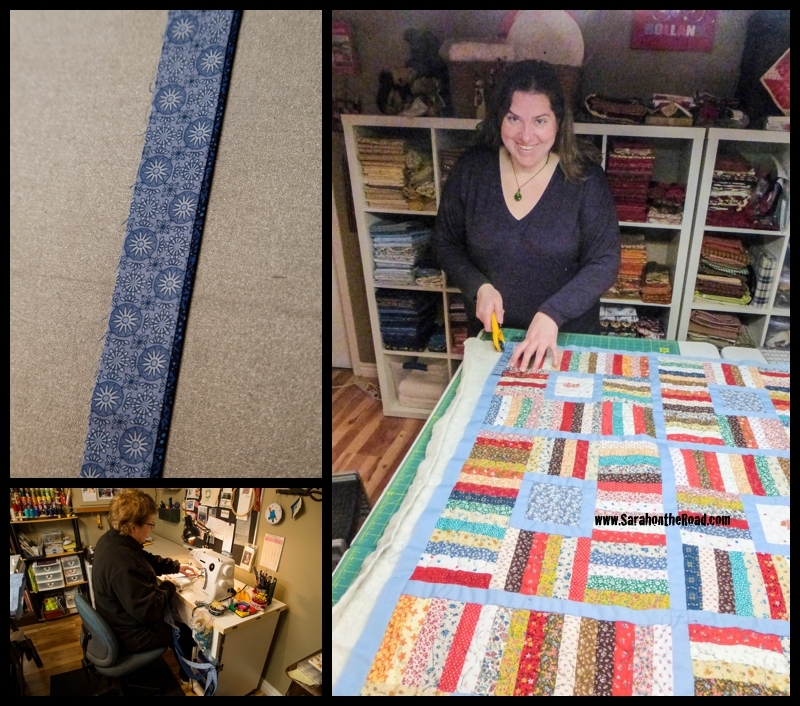 I’m excited to say that my first queen-sized quilt is FINISHED…and so thankful for all the help I’ve gotten along the way from my quilting mentors Laura and Johanna—without you two I wouldn’t have gotten this project finished. 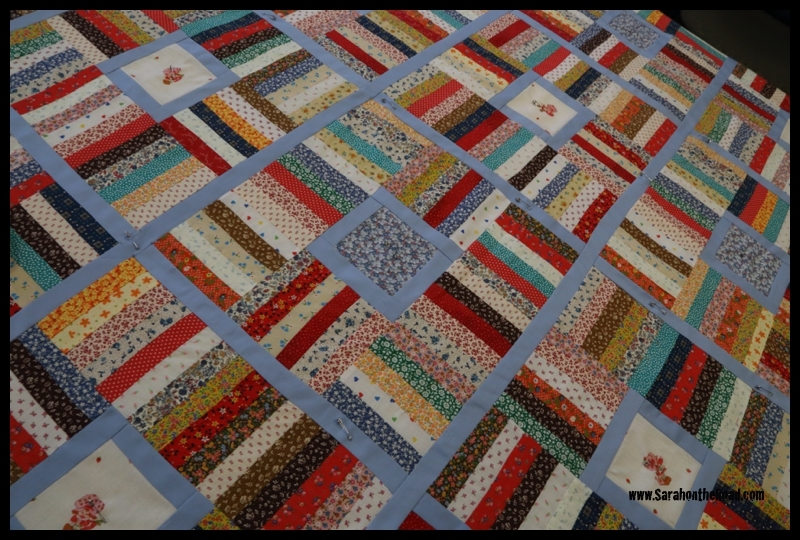 The last two years have been pretty busy…with work and life but I have been slowly spending time working on hand quilting my quilt. 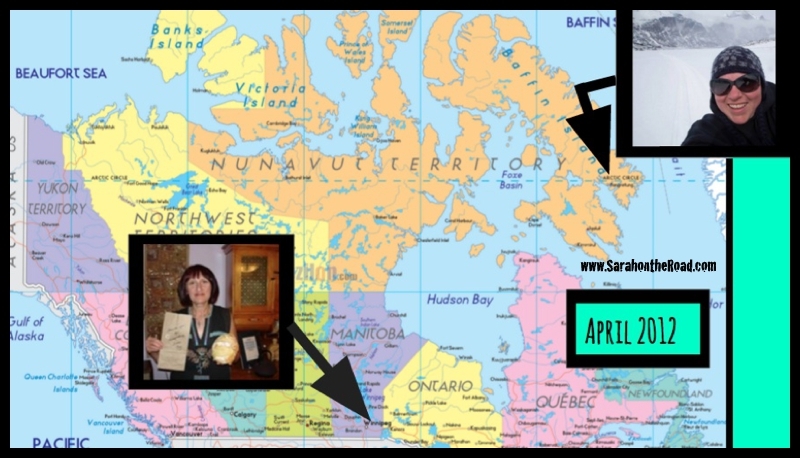 I worked on it in Pangnirtung and even took it on the road with some of my trips I took for work…working on it in Arctic Bay, Resolute, Grise Fiord and Iqaluit. These photos took place all over the place! 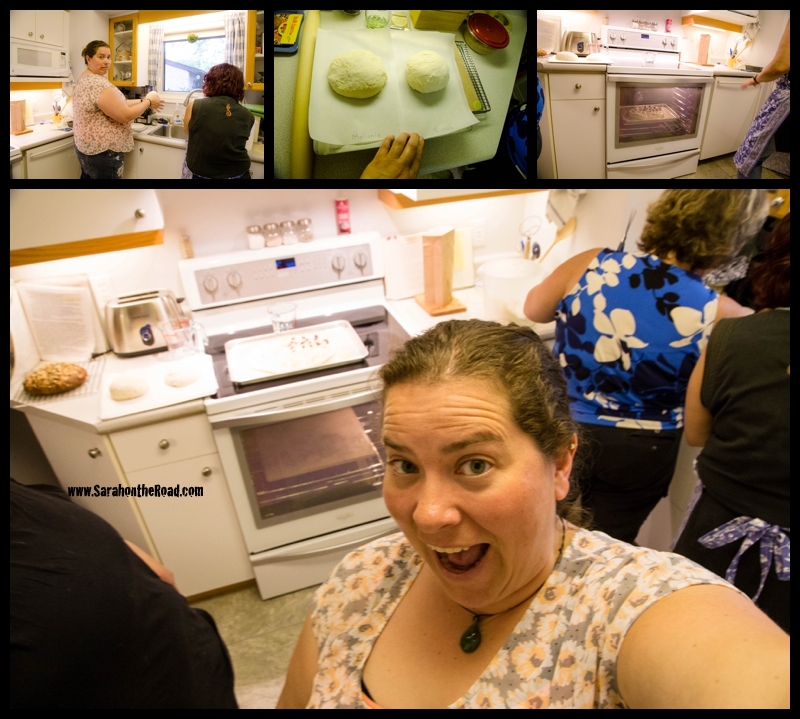 It was fun to join some other like-minded quilting friends when I was in Iqaluit the summer of 2014. 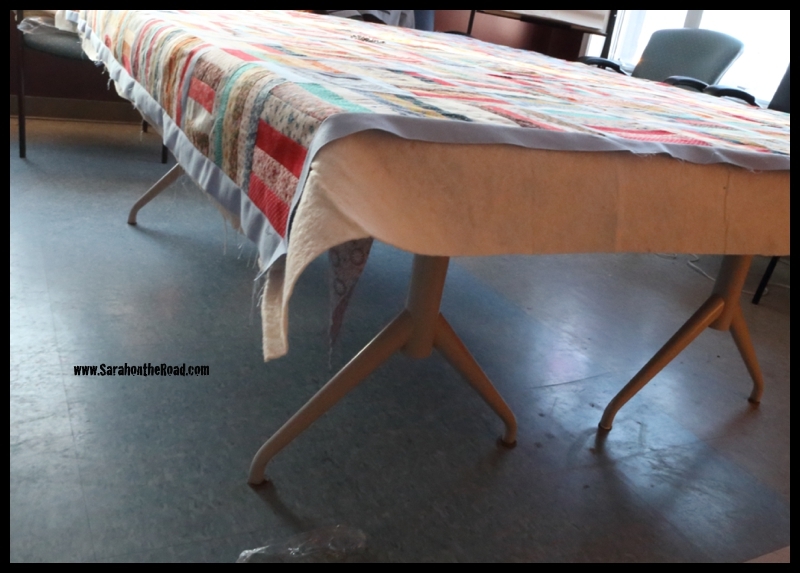 That’s where I met my friend Johanna who became a friend and quilting mentor. 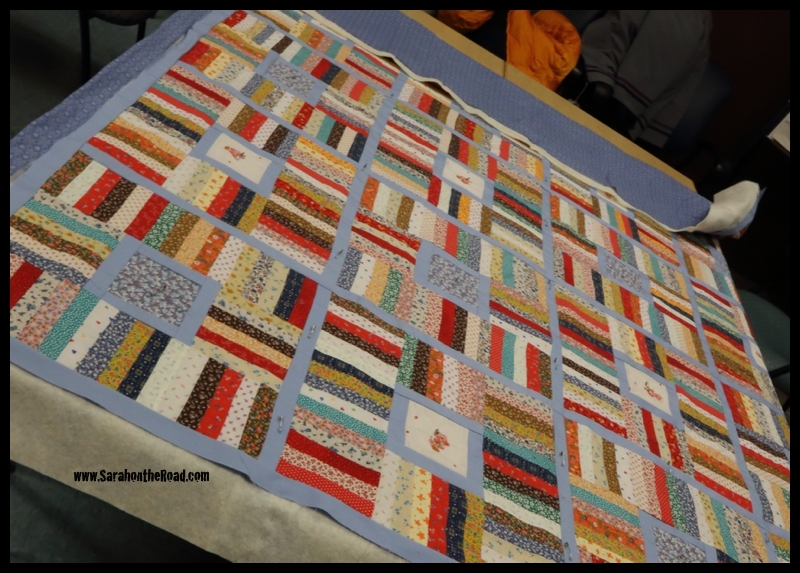 I made plans to visit my friend Johanna…who had moved to Trenton, Ontario to finish up my quilt. 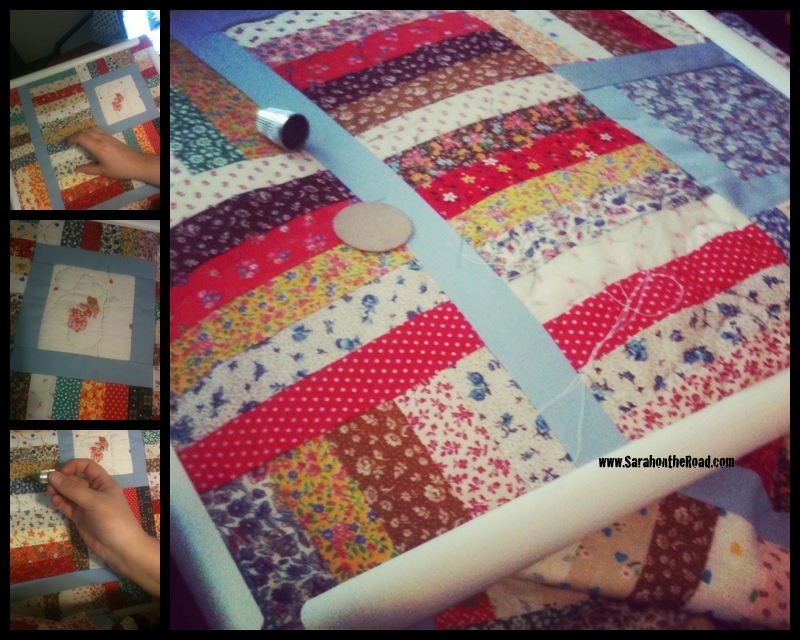 I had no clue how to ‘square it off’, make a binding and bind a quilt. 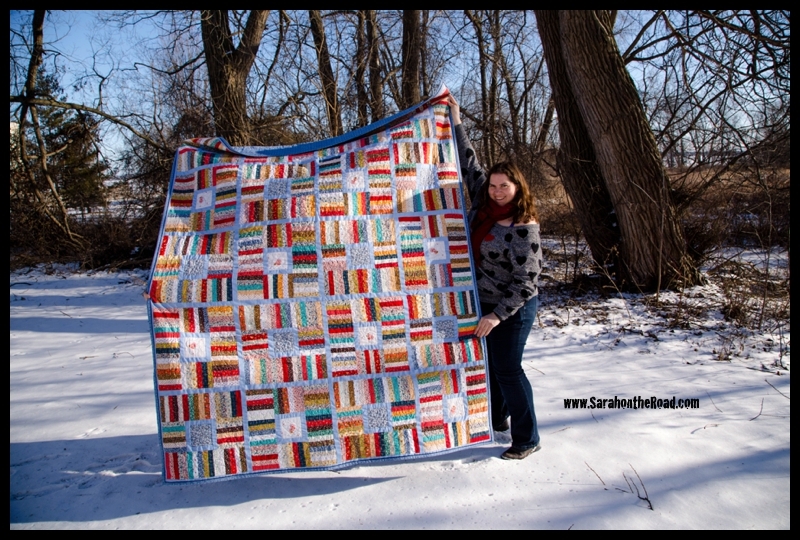 She was the one that helped me bring my quilt to the finish line. 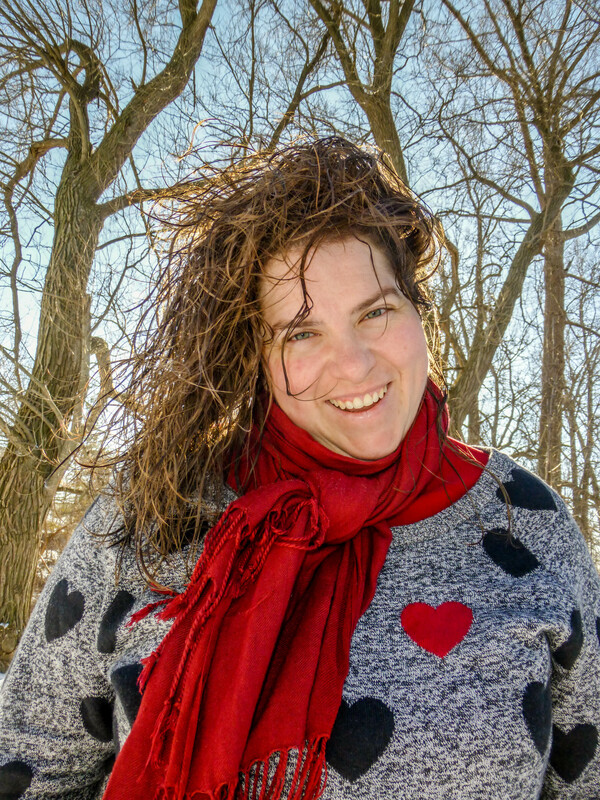 This past weekend I was enjoying time with her while the temperatures were frigid outside! 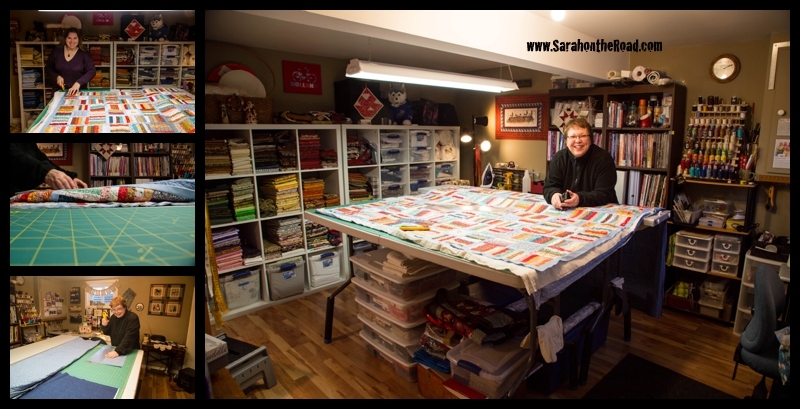 It was so lovely to join Johanna in her quilting studio… some day I’ll have a sewing room like this…until then I’m going to join you in yours….if that’s ok! 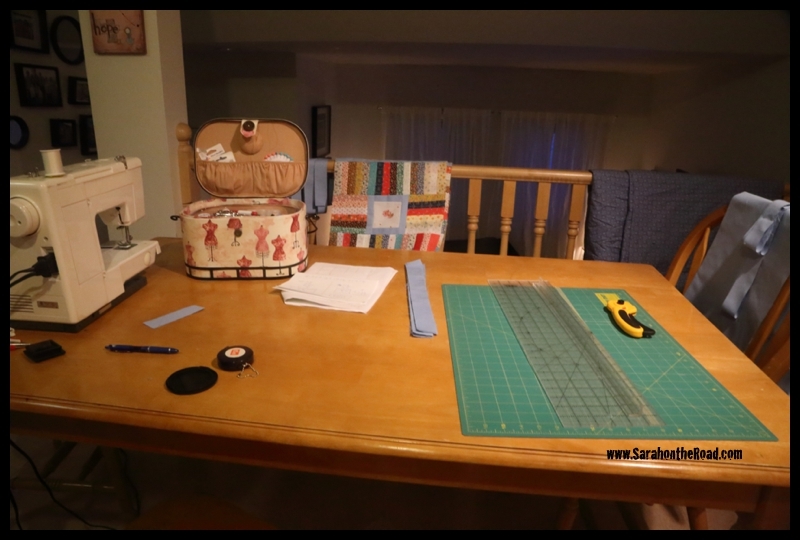 …Johanna taught me all kinds of tricks and tips for sewing the strips for the binding together heaps faster. 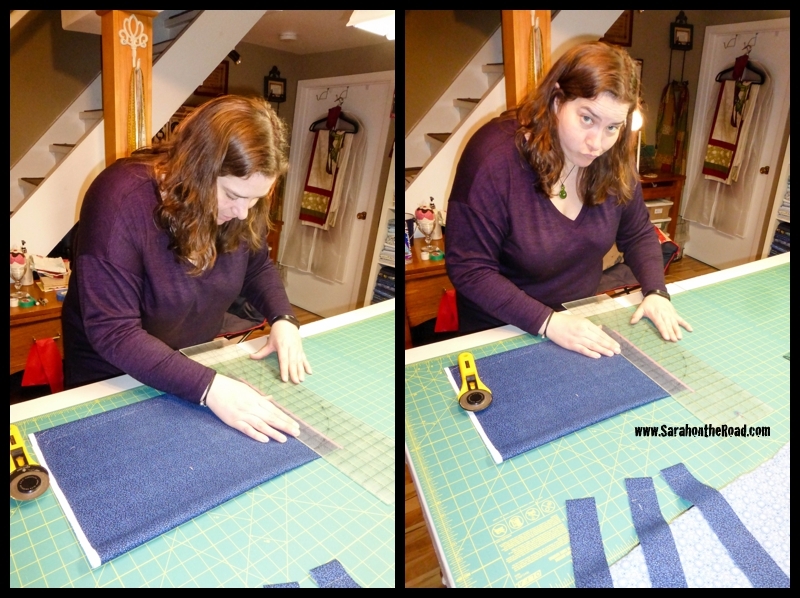 Cutting strips 101… measure twice and cut once! 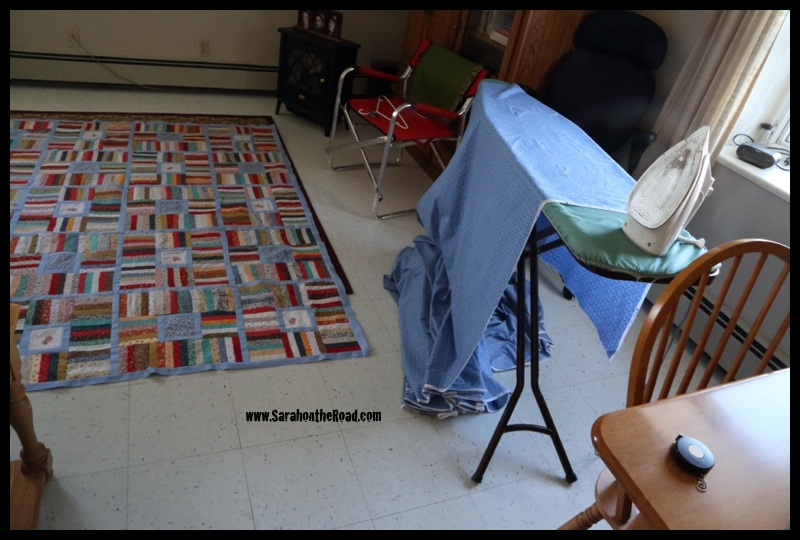 …sewing seems to be a repeat of ironing, pinning, and sewing! …turning a few corners, and onto the finish line. Johanna had this awesome ‘new’ way of completing a binding…no hand sewing–but instead this really awesome finish with a gorgeous dark flange. I think I spoke too soon… I had to hand sew my label on the back. 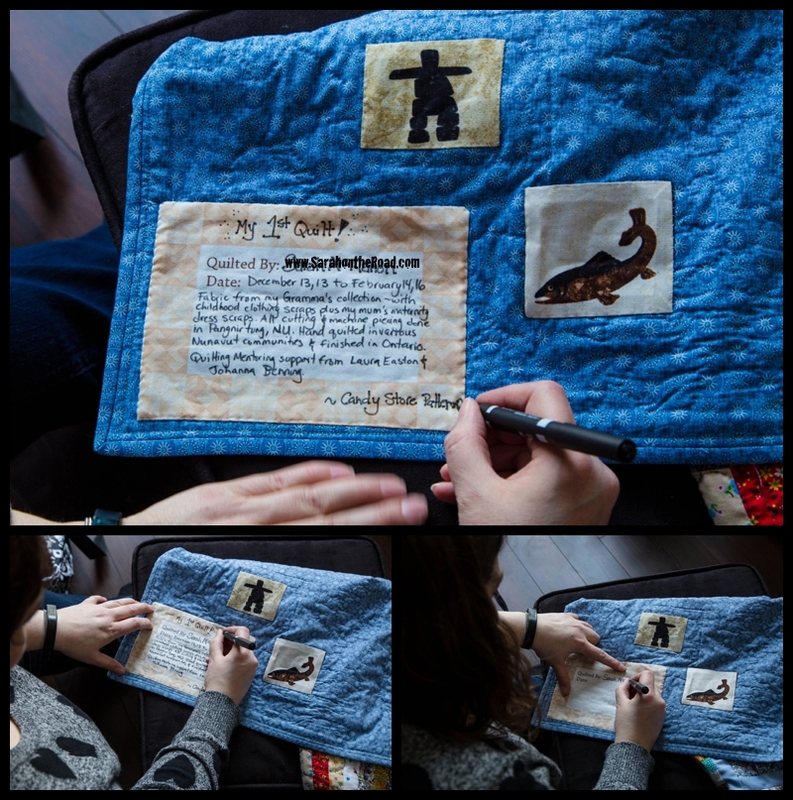 It’s important step–every quilt need a label to tell it’s story. 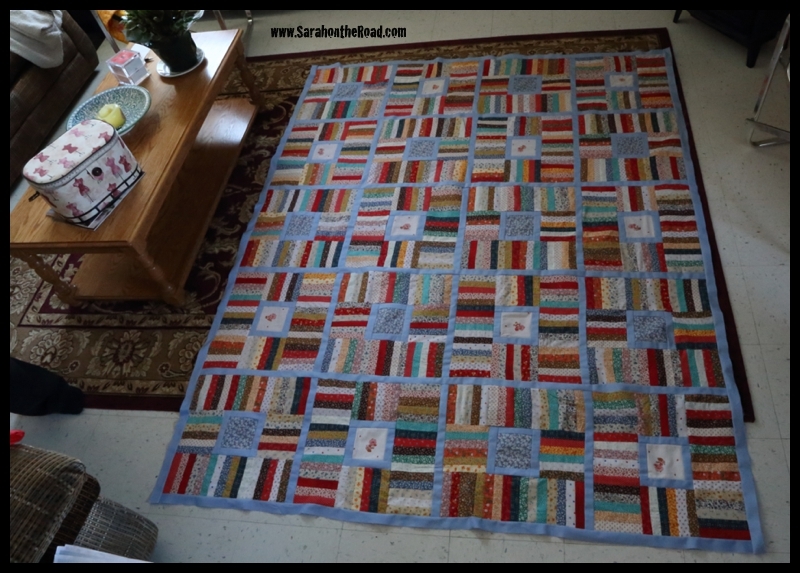 The finished project… still makes me SMILE every time I see it on my bed! 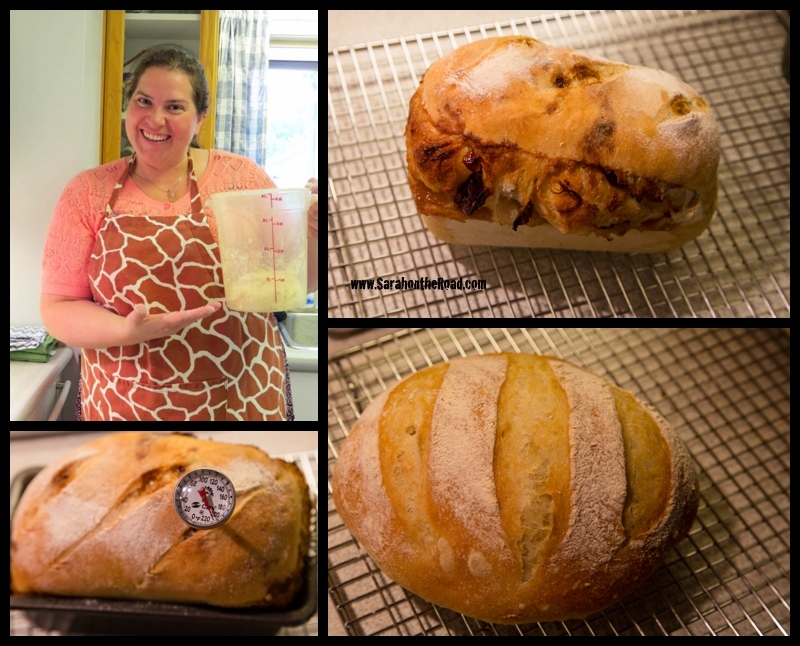 Things I learned were that even though the project might seem crazy large…break it up in steps and you can figure out it! 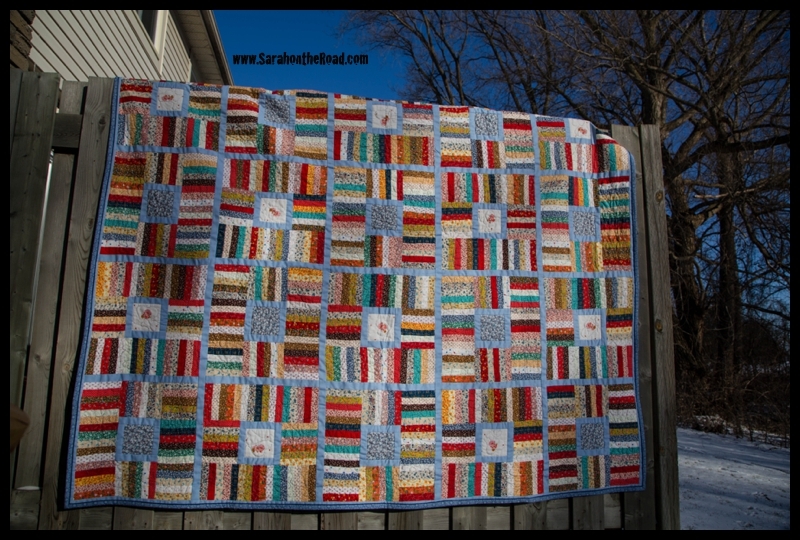 This entry was posted in Crafty Projects, Life in Ontario on February 15, 2016 by Sarah on the Road.